Prestigious Wharton School of Business pitch competition which included over 40 applications (all from companies with a Wharton alumni) and 12 finalists. 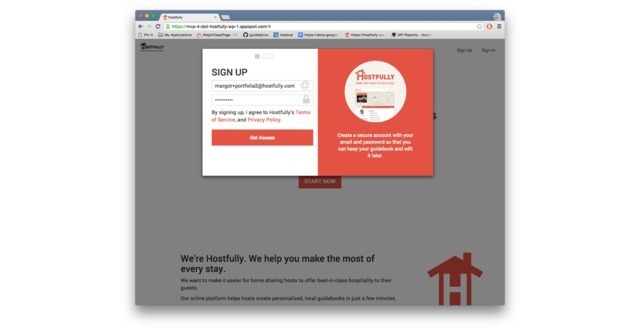 Hostfully is a platform that helps hosts in the alternative lodging industry (e.g. 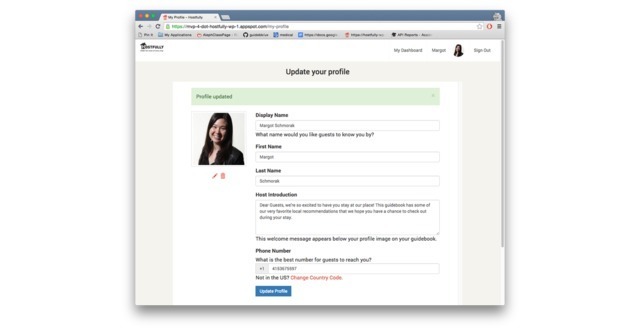 Airbnb, HomeAway) create guidebooks that contain essential hospitality information for their guests - a "virtual concierge". Hosts share key home-sharing information, as well as local recommendations for food, shopping, entertainment and more - on mobile, web, and in print. Hostfully opens up new sales and marketing channels for local businesses to reach tourists who are staying outside of hotels, a $100B market expected to grow 10% YOY through 2025. The host is "the last mile" to the alternative lodging tourist while they're on vacation, with enormous influence on the buying decisions of their guests. Hostfully is tapping into this opportunity. 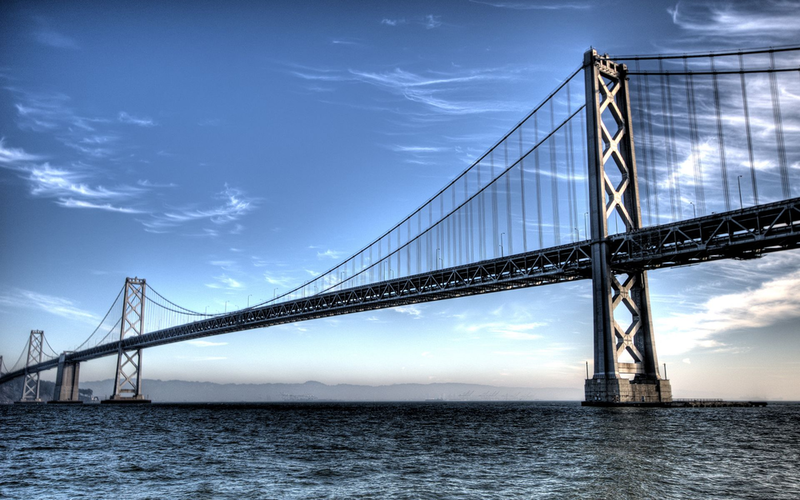 The San Francisco-based team comes from Apple, Google, and other successful startups. Our advisory board includes travel experts from Expedia, Vegas.com, SF.Travel, and Where (in-room travel magazine). We have traveled in home shares around the world, have hosted countless guests in our homes, and know the market well. Seasoned executive; grew a startup as EVP of Biz Dev, and then COO, overseeing successful exit. I'm a world traveler, having staying in 37 homes in 27 countries. We are also home sharing hosts here in San Francisco and now the space well. Technical co-founder of Hostfully with full-stack software development experience. Engineer that applies those problem solving skills to business problems and improving customer experiences. We are making a platform for short-term rental hosts (Airbnb, VRBO etc) and vacation rental managers to give their guests a 5-star experience. 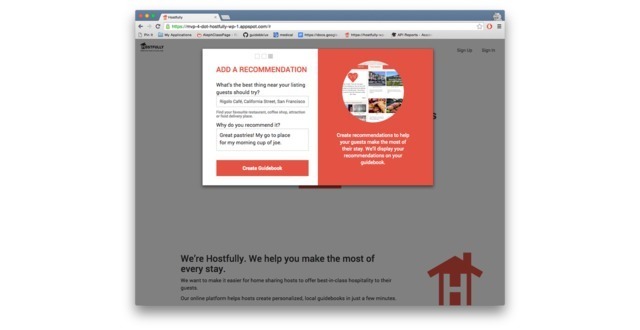 When hosts provide better hospitality, they get higher ratings, more bookings, and can charge higher prices. 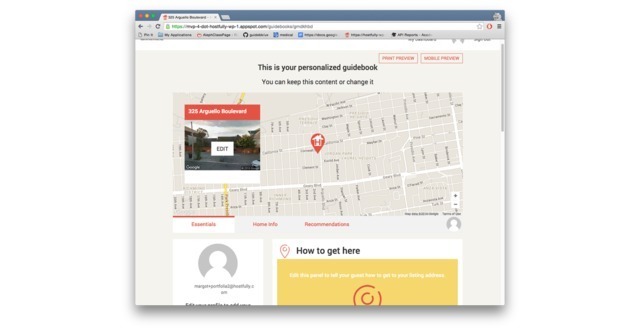 Using Hostfully, hosts share personalized guidebooks with local recommendations and important listing information (like the wifi code). Guests view guidebooks in mobile, web, and print. We also open up a new sales channel for businesses to reach this growing market. We are a seasoned team of executives with startup experience, and experience at senior positions for Google and Apple. We've won multiple Founders Awards at Google, and have multiple patents under our belt. We know consumer experience well, and have scaled larged products. We know the alternative lodging industry, and have first-mover advantage. Hostfully was featured in a VatorNews article: "Vator Splash alumni: which companies raised money in 2017"
Hostfully was featured in a VatorNews article: "Hostfully - Vator Splash Spring Class of 2016"
Hostfully was featured in a VatorNews article: "Vote for your favorite Splash Spring 2016 Startup!" Hostfully was featured in a VatorNews article: "Today's Entrepreneur: David Jacoby"